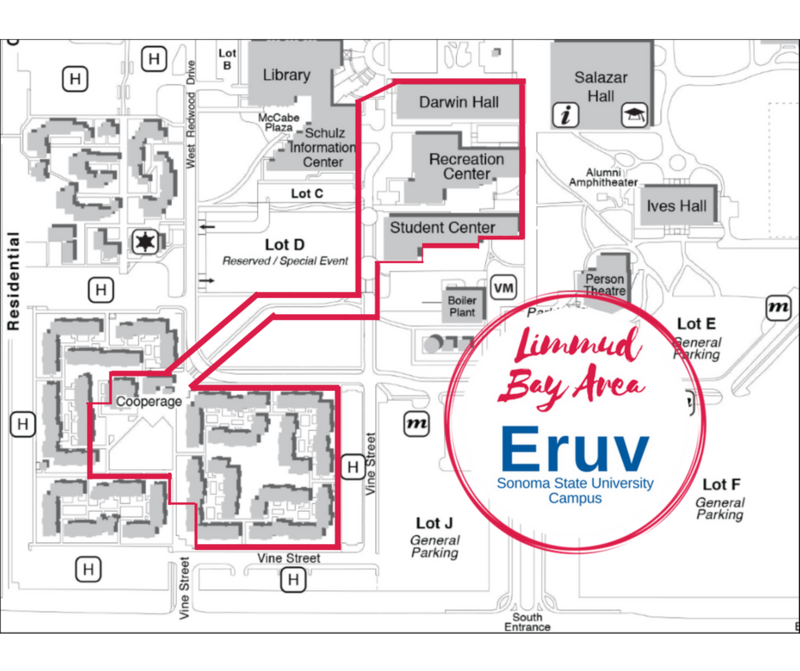 Joining us for this year’s Limmud Bay Area Festival June 28 to June 30, 2019 at Sonoma State University? Need a ride? We’ll be arranging buses! You can register for transportation when signing up for the festival. Sonoma State University is located just over an hour away or 50 miles north of San Francisco, off Highway 101, adjacent to the communities of Rohnert Park and Cotati. Without traffic you can expect to drive just over an hour up Highway 101 north to the Rohnert Park Expressway exit. Turn right onto Rohnert Park Expressway and follow to its end at Petaluma Hill Road. Right on Petaluma Hill Road to the stoplight at East Cotati Avenue. Right on East Cotati Avenue to Main Entrance of the campus on your right. Information Booth is at the end of the drive.